Looking for some of the same type of ammo that our military uses for their .308 caliber rifles? 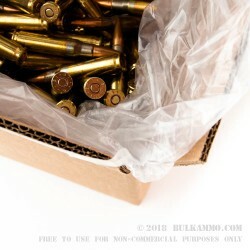 We have it right here in this loosely packed 500 round count box of 7.62 x 51mm XM80 149 full metal jacket ammunition. 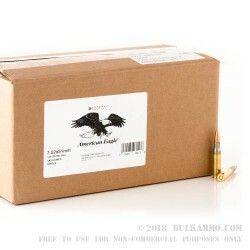 This is great quality ammunition as it is designed to NATO specifications, and sold to our military. This 149 grain FMJ projectile travels at approximately 2750 feet per second and delivers a devastating 2437 foot pounds of energy from the muzzle with still a lot of power and speed even at extended ranges. This round is ideal for long term storage or an all out range session. Practice your hold overs for close range shooting, or stretch your rifle out and see your shooting skills progress as you master the techniques of long range shooting! 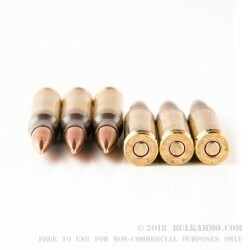 These rounds are produced by Federal out of their facility in Minnesota, so you know you are getting a very high quality load as they have been making ammo for virtually every purpose including, hunting, self defense, target practice, precision shooting, and of course the United States armed services. Quality and consistency is a must for Federal and they continue to live up to that every round they produce. I received my order within 3 business days of the order being placed. 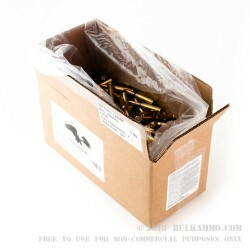 The Bulk Ammo guys checked in on the order frequently and even gave me a call about a question they had with the order. Very timely and great service. With limited shooting - the ammo shoots great so far. Steel Jacket, not steel core. M80 is great ammo ! A: You're correct Rob. 308 and 7.62x51 are pretty much the same caliber and you can safely fire 7.62x51 in a firearm chambered for 308. While the cartridges aren't identical, the group that oversees ammunition standards (SAAMI) has given their use interchangeably the 'ok'. Q: Is there a difference between : Federal XM80 and Federal XM80C? Both are 7.62X51mm - 149gr FMJ. Do both have a steel core? Do you have Stripper clip guides, fitting a magazine. A: There isn't a difference between XM80 and XM80C, XM80C is simply the surplus rounds from the XM80 rounds. They do both have a steel core. As for the stripper clip guide, at this point we do not carry them but that's probably something we should think about adding for the future. Something like a Maglula guide may not be a bad idea. Thank you for the suggestion!